This is the colour version of the follow up print ‘Saved’. 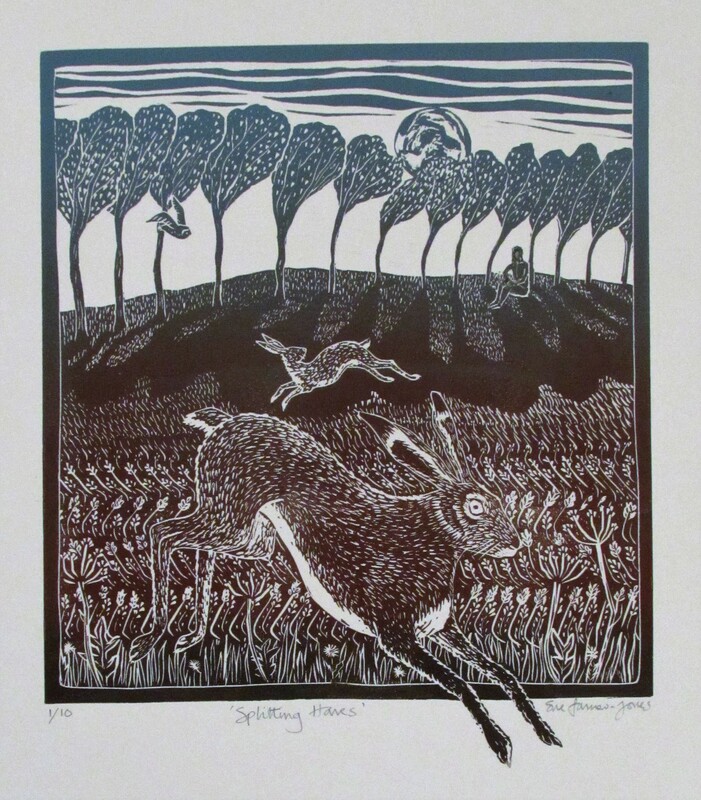 Since cutting the lino I’ve come to know about Melangell, Patron Saint of Hares. So now thinking about the next images! This entry was posted in Uncategorized on January 21, 2016 by suefjsuefj.